It’s been a little while since we posted something suuuuuuuuuper sweet and sentimental (wait, nope, every one of our Real Weddings hits on those things), but given the snuggle-worthy weather situation happening right outside my window - second day of spring snowstorm in NYC, NBD - it seemed like the perfect time to whip out something ridiculously heart warming. 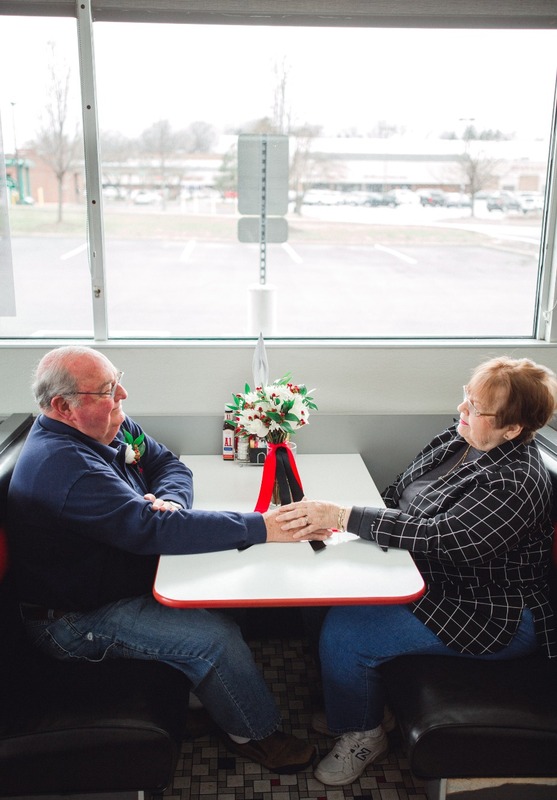 Meet Elmer and Fran Armstrong, both 76, the cutest pair of soulmates we may have ever seen. This June, they’ll be celebrating being married 55 years. And while that anniversary usually connotes an emerald gift, this tremendous twosome dared to do something differently with the occasion - all thanks to their creative photographer granddaughter. 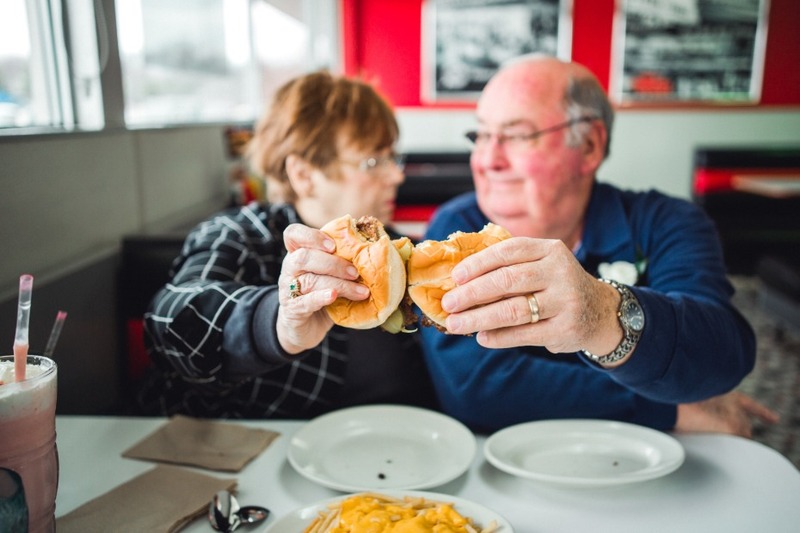 So, as their 55th anniversary loomed, Courtney thought it’d only be appropriate to commemorate their enduring love with a photo session that threw back to their early days. And Elmer and Fran are literally all of us. 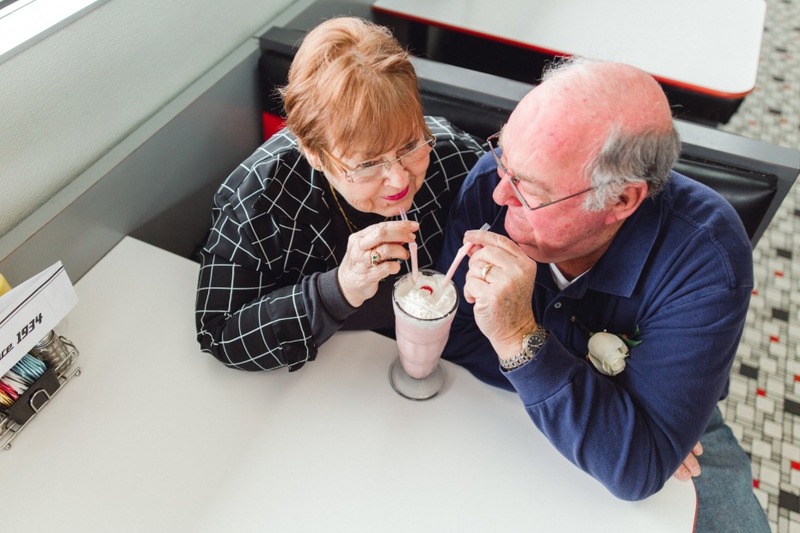 Or what we always hoped we’d be: two kids who fell in love at the malt shop. Well, Steak ‘N Shake, to be more precise. Oh, Elmer, you kill us 😂. 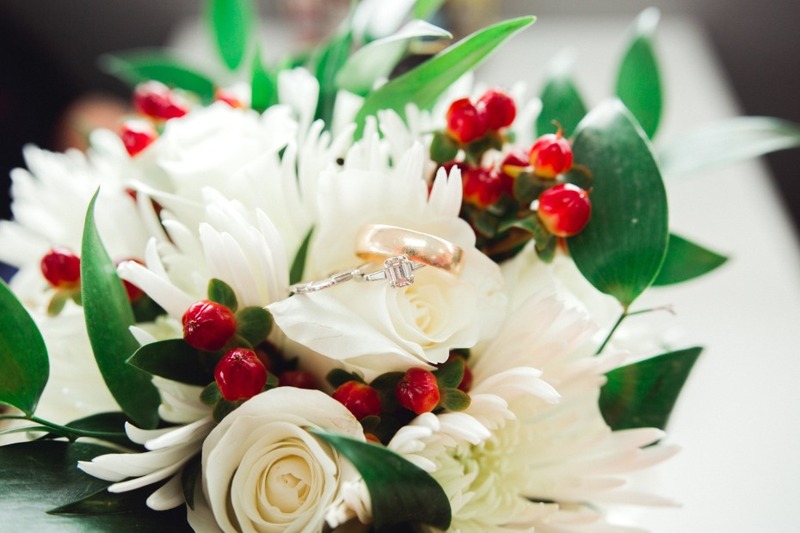 Only three months later, they got engaged, and the rest is history…. So when Courtney wanted to take things back to where it all began, the Armstrongs were all ears. Unfortunately, their flagship meeting place has closed, but Courtney arranged to have the session at the next closest location. And the pictures were just too perfect. We’re eating them up. Really. 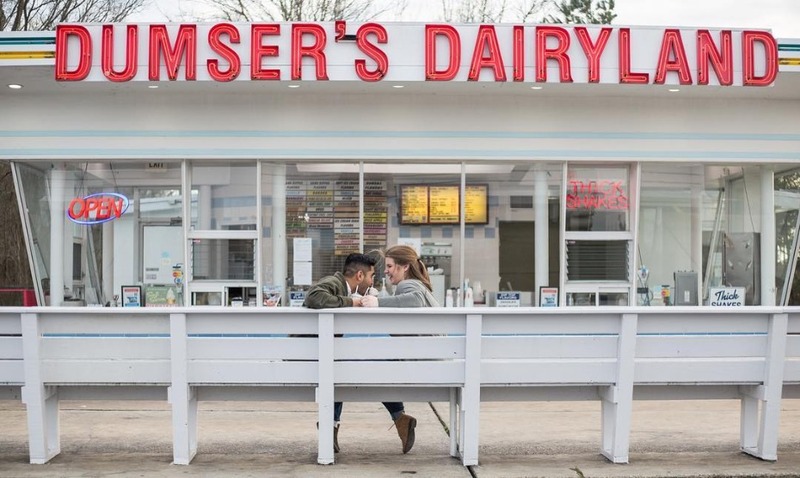 ((Sitting in a booth sipping milkshakes with the love of my life is beyond goals)). 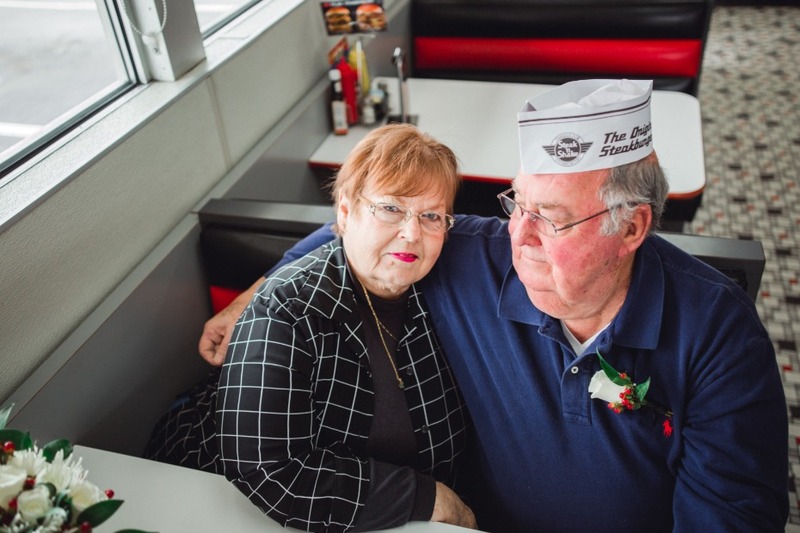 From 🍓milkshake moments, to sweet and salty smooches 😘 courtesy of the cheese fries and burgers, the chemistry between Fran and Elmer just bubbled over - and their granddaughter now gushes over how special the entire shoot was. 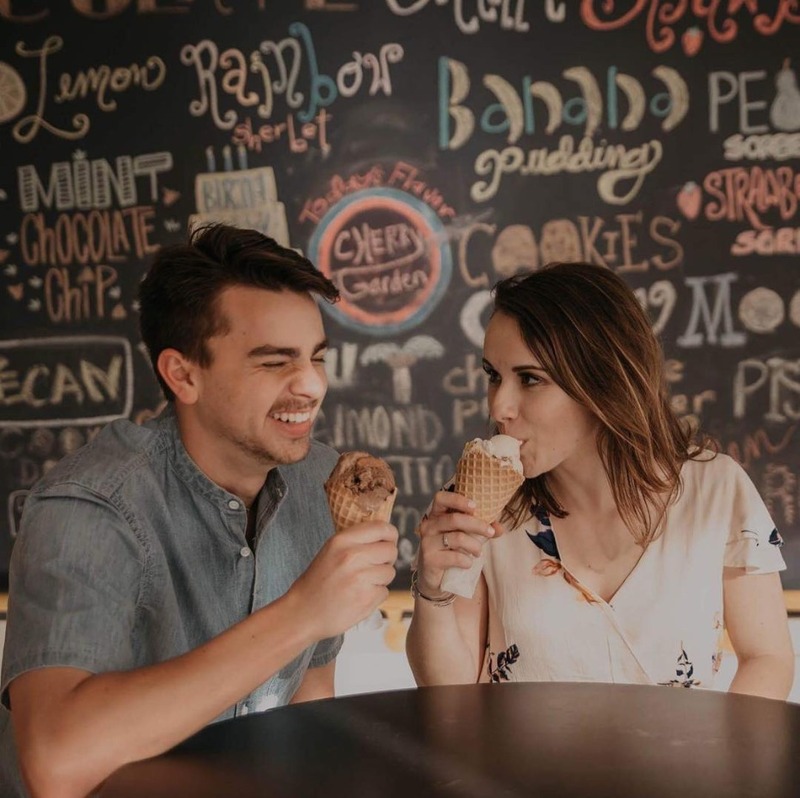 She has plans to give the lovebirds an album for their official anniversary, in June, but for now, everyone is just coasting on their sugar highs. Definitely head over to her page to see all of the sassy shots… have to say, Elmer did a👌 job with his wife’s engagement ring. Whoa, emerald stunner, soooo nice to meet you! All photos courtesy of Courtney Stepp / CMS Photography LLC. 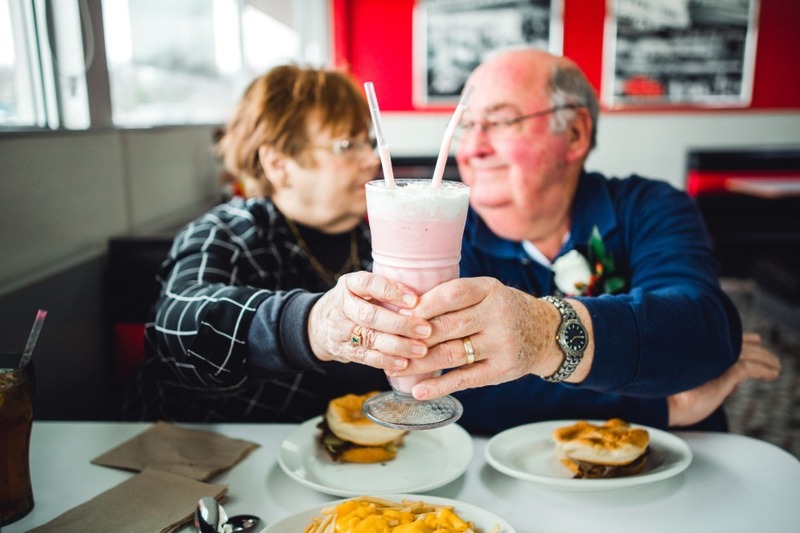 Maybe these ice-cream loving sweeties will be celebrating their own first few dates like this in 50+ years, for now, we all should just take Fran's forever-love feedback to heart: "Stick together through thick, respect, be kind and tomorrow will be another day."